The first thing you will need to determine is which type of car wash you will be operating. Choose from either Automatic, Tunnel or Self-Serve. 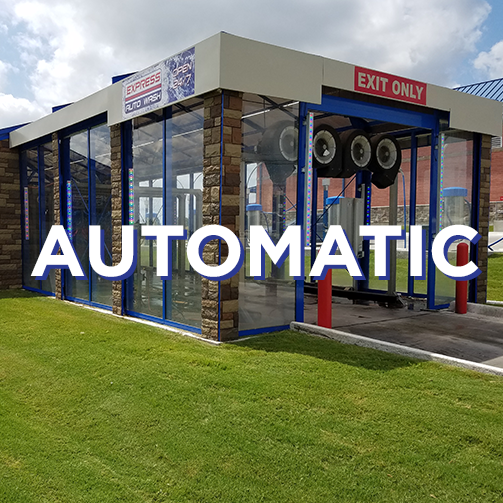 An Automatic car wash is a wash in which the customer parks their car inside the structure and the washing equipment moves around the car. 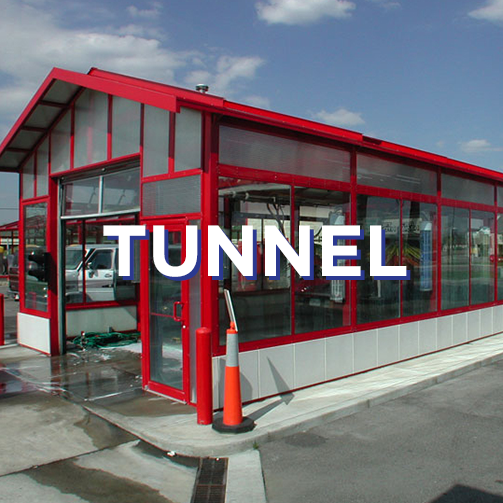 A Tunnel car wash is a car wash in which the car is driven onto a conveyor or belt system, put into neutral and then moved through the tunnel while being washed by stationary equipment. 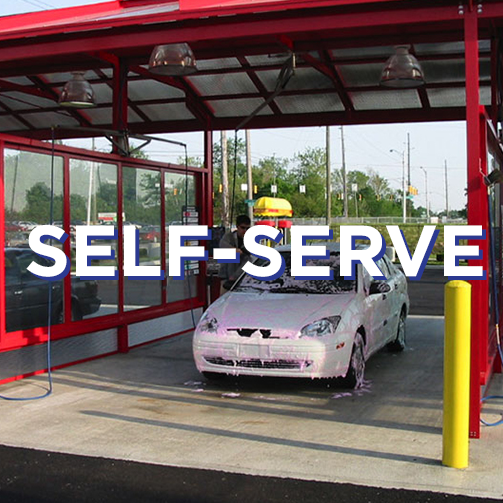 A Self-Serve car wash is a car wash in which a customer parks their car in a bay and then is able to wash their car themselves with provided hoses and soaps. 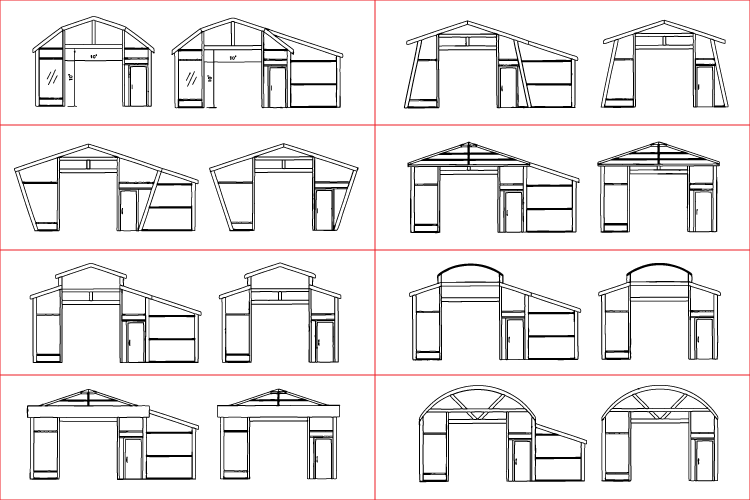 After you've decided which type of car wash structure you'd like to build, you need to choose a shape. Select from any of the shapes shown above. Images on the left of each pair include equipment rooms while the images on the right are stand alone structures. Have something else in mind? Give us a call at 800.537.8231 or email us at info@newhorizonscarwash.com and we'll work with you to build the shape you're envisioning! After you've chosen a car wash style and structure shape, it's time to talk about customization. 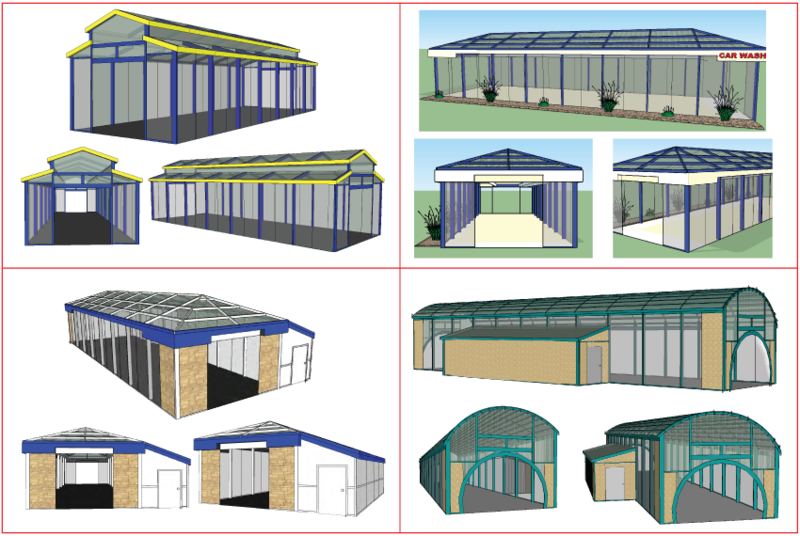 We offer over 80 colors to choose from for your structure. If you have a logo, we can apply decals on your mansard. Kneewall upgrades, gable overhangs, lights and more. The sky is the limit! Check out our accessories page for more information about lighting.